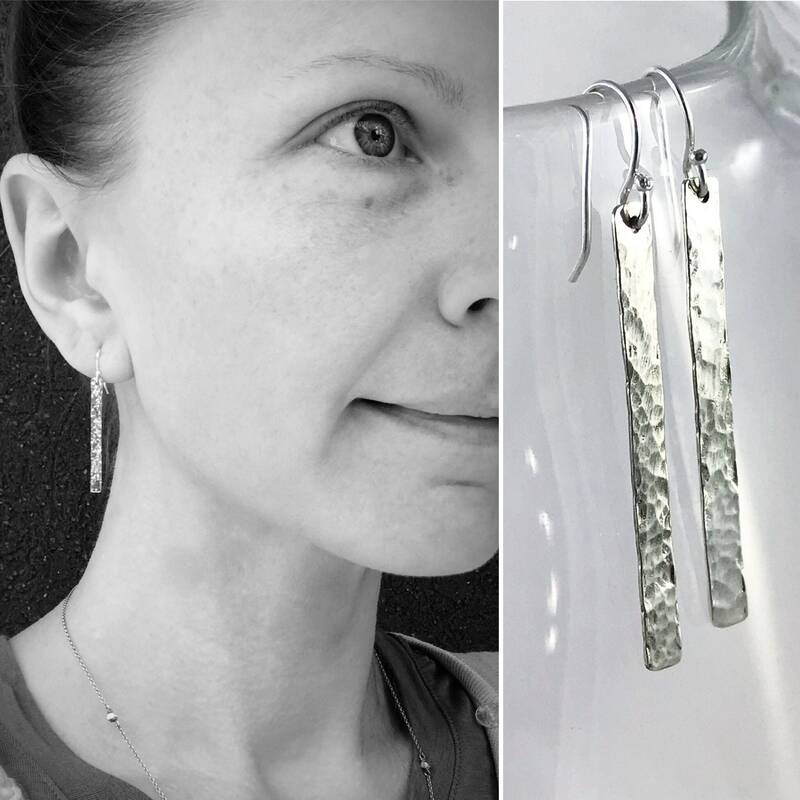 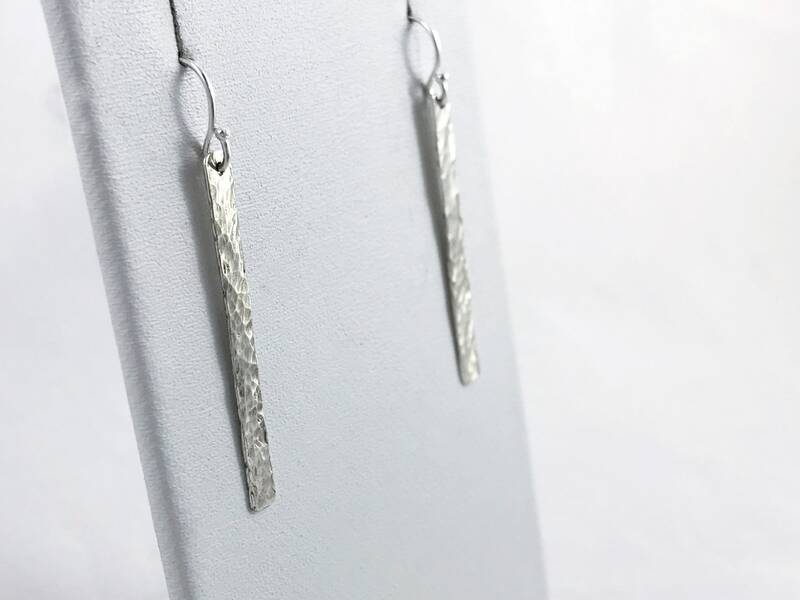 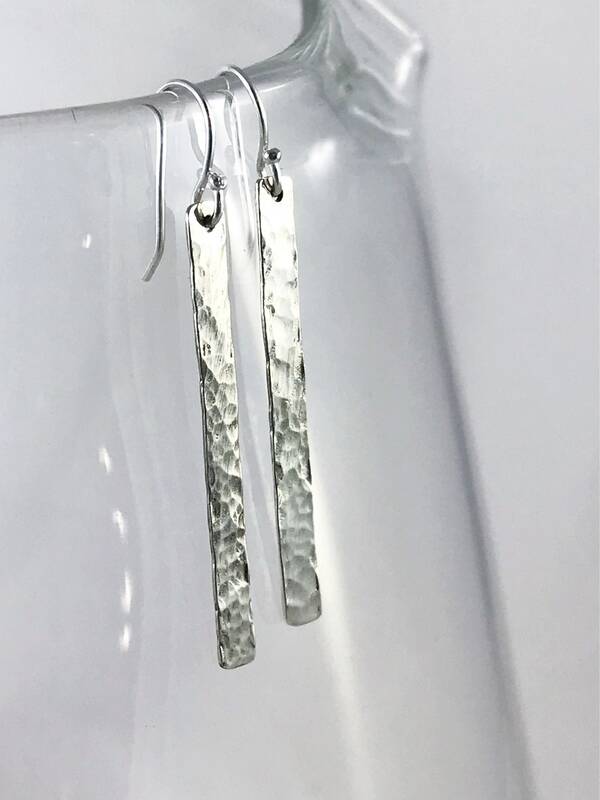 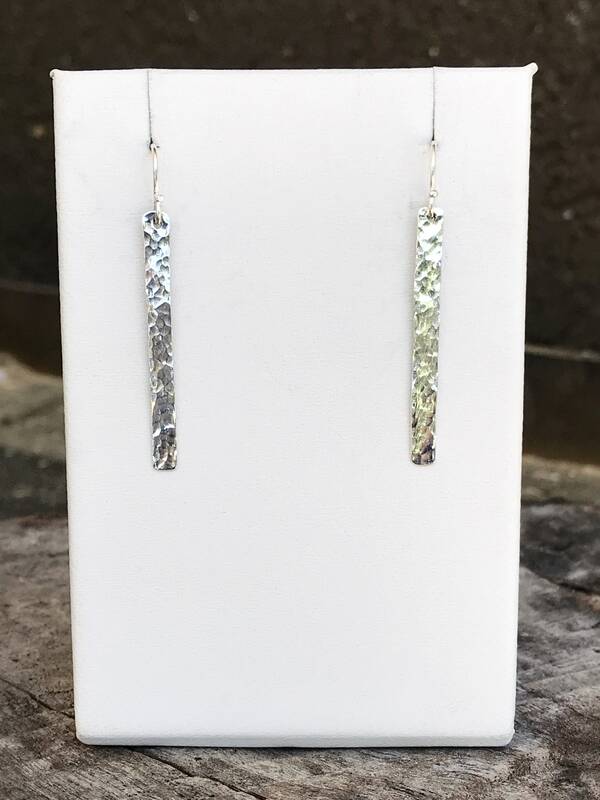 Simple and elegant sterling silver "Stick" earrings. 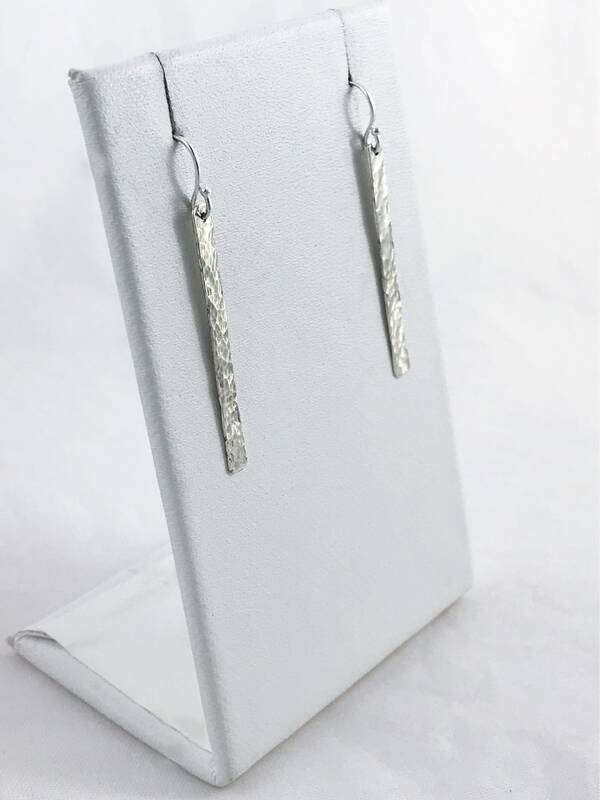 Minimalist design with a gorgeous rustic hammer "cobble style" texture, they're down to earth beautiful. 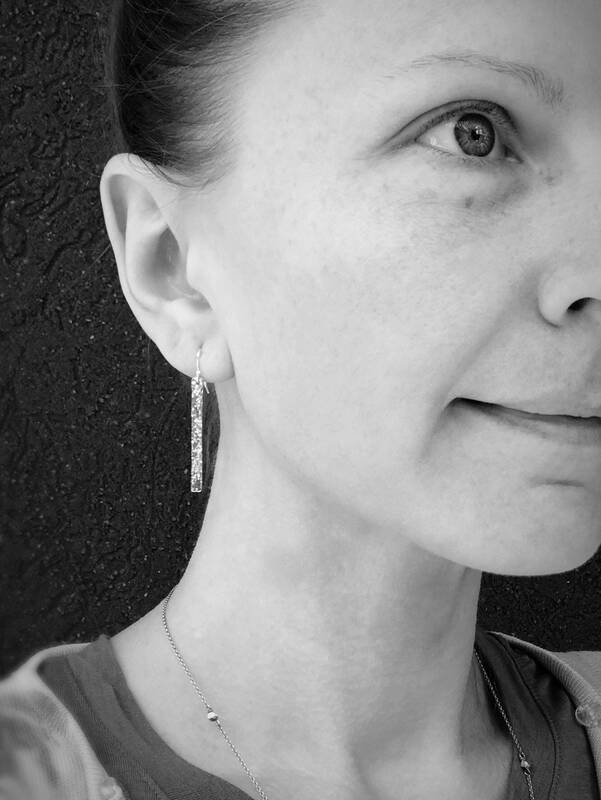 They move nicely, catch light subtly, are lightweight comfortable and look amazing with almost everything. 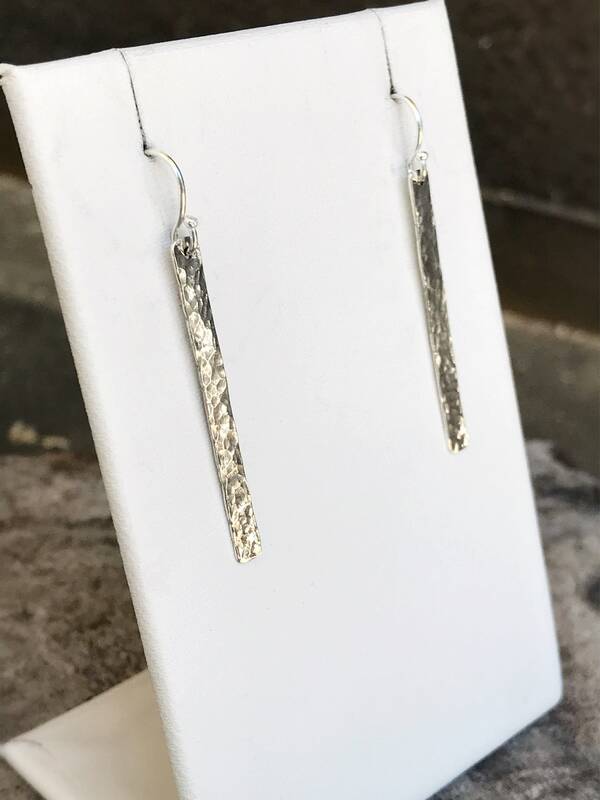 -Earrings are made of solid sterling silver, and hammer formed to their rustic textured shape. 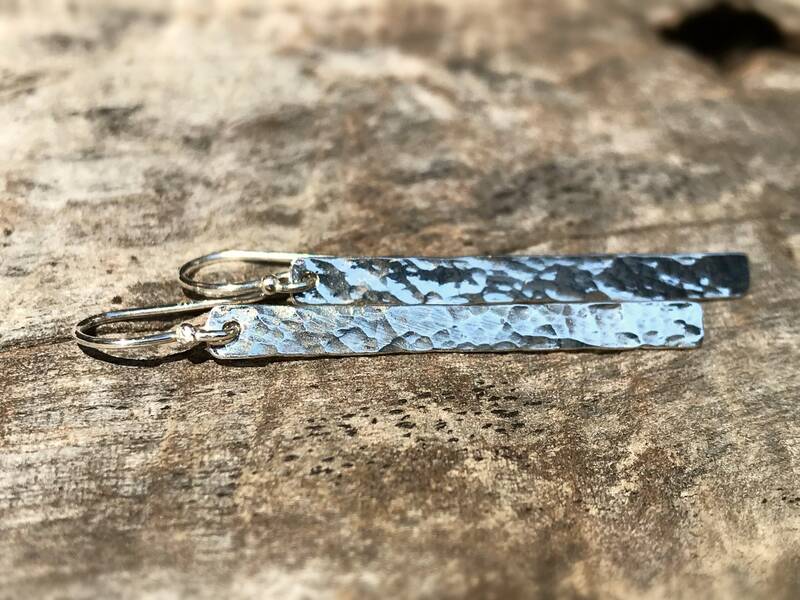 -These are hammer formed and each pair has it's own unique texture pattern and rustic form, but will remain true to the design shown in the photos.